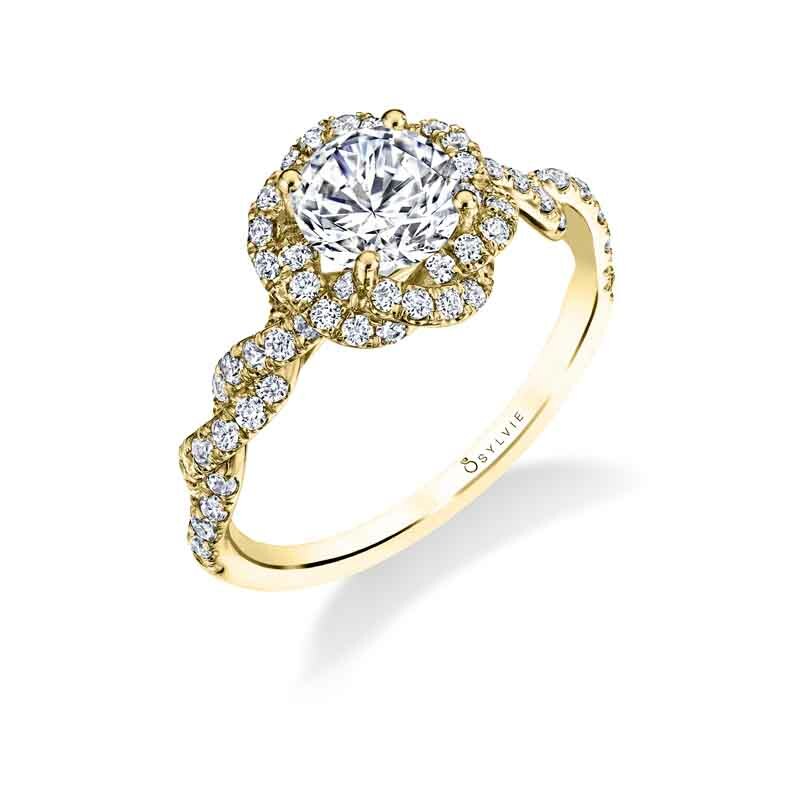 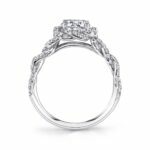 This unique spiral engagement ring is a new twist on a classic halo. 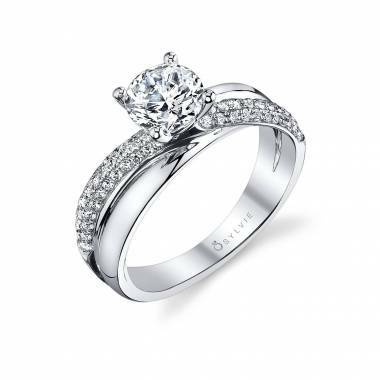 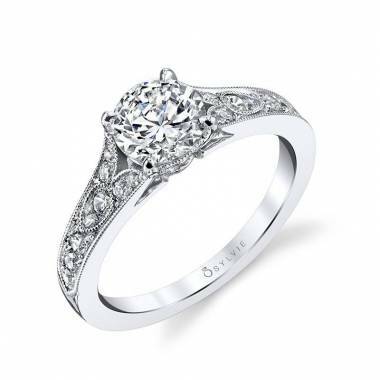 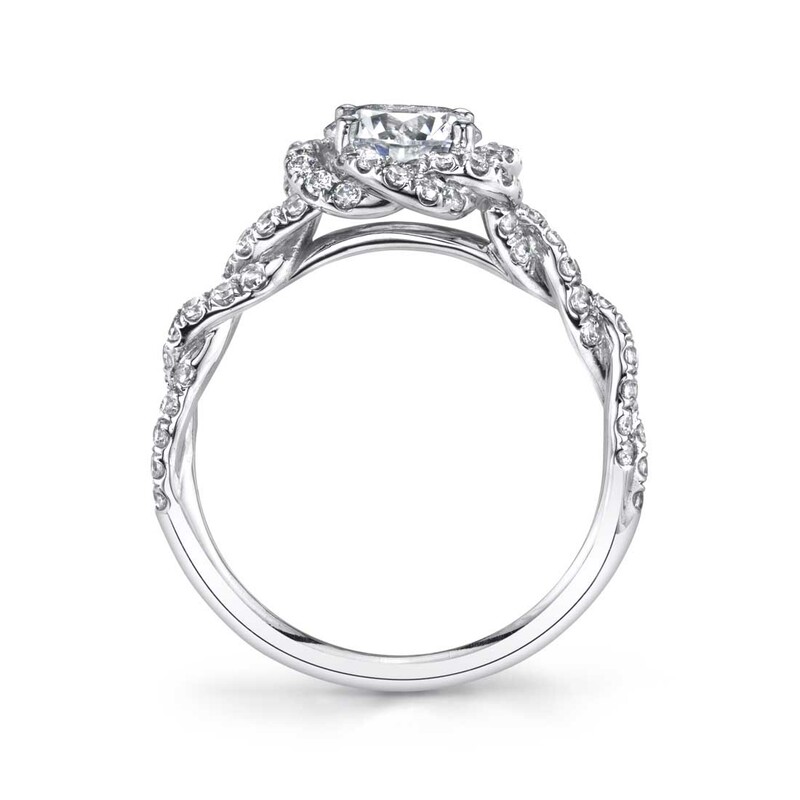 It features a 1 carat round center with shimmering diamonds spiraling down the shank and in the halo. 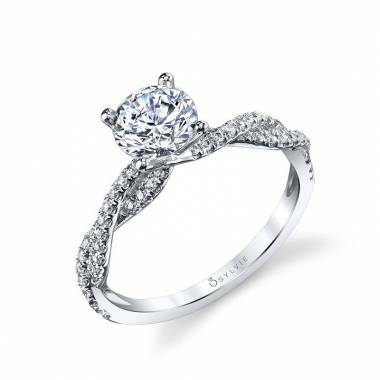 The total weight of this stunning halo ring is .63 carats.